Glacier (“Sugar” Ray Lloyd)(Coach Buzz Stern) (WCW) Ray Lloyd began his wrestling career in the late 1980s after competing for several years in the World Karate Association. He appeared several times over the next few years for WCW, including a house show program with the Great Muta. Due to his martial arts skills Lloyd competed in Japan for UWFI from 1993-96. 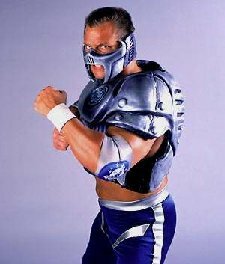 He joined WCW thereafter as the character, Glacier, who combined pro wrestling and martial arts skills. The name symbolized the power of the elements. His ring entrance was one of the most extravagant in professional wrestling. After WCW he was involved in Dusty Rhodes’ Turnbuckle Wrestling promotion, and thereafter had a backstage role at TNA. He has also worked as a stuntman and actor.